Well, technically, you can ‘see’ these traditions in videos online. Still, there’s nothing like witnessing festive Christmas traditions in person! Ireland, like many countries, has its own special ways of celebrating the holidays. They also share many of the same traditions we do here in the United States, such as placing candles in the windows of the home and midnight mass. Watching the horse races on St. Stephen’s Day is a fun Christmas tradition in Ireland. On December 26th, the day after Christmas and also known as St Stephen’s Day, it’s common for people in Ireland to attend or watch one of the many horse races that take place that day. This long-standing Irish Christmas tradition is quite fitting given that St Stephen was the patron saint of horses. 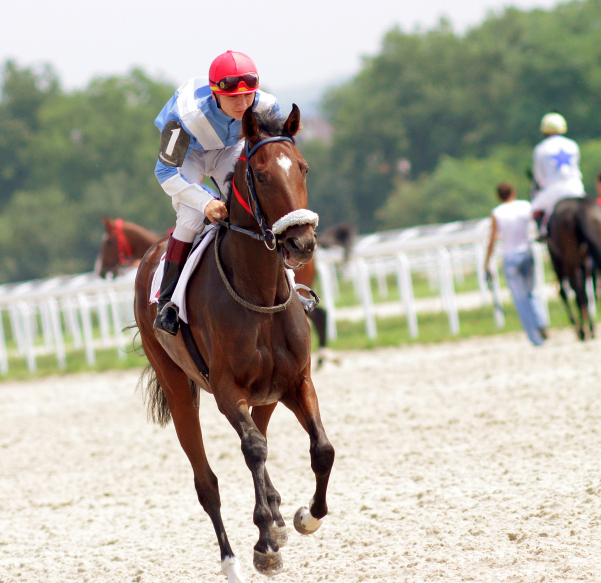 Watching the horse races on this day is often spent with friends and family either at a track (such as the famous Leopardstown Racecourse in Dublin), or at a pub to watch them there. While many US families spend the day after Christmas playing with presents, the Irish like to get out of the house and celebrate over the traditional sport of horse racing. Jumping into frigid waters, sometimes as cold as 10°C (50°F) isn’t on a lot of people’s mind on Christmas morning. But in Ireland, it’s a Christmas tradition! Participants merrily hop in the chilly sea (in bathing attire, no less!) for fun, or sometimes even for charity, on Christmas morning to celebrate the holiday. A similar tradition is seen some places in the US, but generally around the New Year rather than Christmas. A common spot for this icy tradition is “The Forty Foot Bathing Place” in Sandycove, where hundreds of people plunge into the Dublin Bay on Christmas morning. Despite the name, there isn’t a forty-foot drop as you may think—still, it’s a fun event. This tops the list for strange Christmas traditions found in Ireland. This also takes place on St Stephen’s Day, and involves people dressed in straw suits with blackened faces, holding a pole with a wren on top (fake, of course; although traditionally, they used dead wrens), and singing the “wren procession song”. The roots of this tradition are debatable, but the two most common stories involve St Stephen himself when a wren gave away his position to the Romans who killed him. Another version says a group of Irishmen were hiding from British soldiers, but their hiding spot was exposed by a wren pecking one of their drums. Today, the tradition is upheld for fun and charity, and rarely goes door-to-door in a caroling manner as it used to. It’s an opportunity to dress up and celebrate, rather than spread warning about the evil wren. AESU offers several trips to Ireland, including: Cosmopolitan, Explorer, Euro Focus, Great Escape, and Euro Spree. Explore Ireland and its interesting culture, plus experience some of the most beautiful landscapes in the world. Today is the last day! Book and pay in full before December 4th, 2015, you can save up to $300 on your trip! Plus, there’s still time to make it to Women’s Christmas in Ireland, celebrated January 6th. This entry was posted on Thursday, December 3rd, 2015	at 4:00 pm	. You can follow any responses to this entry through the RSS 2.0	feed. Both comments and pings are currently closed.